16/8 Intermittent Fasting for Keto Diet – Is It Right for You? Home / Information / 16/8 Intermittent Fasting for Keto Diet – Is It Right for You? If you’re fortunate enough to qualify for a senior discount one day, you’ll have eaten about 85,000 meals over the course of your lifetime. That’s a lot of consumed food and time spent. We love food, there’s no doubt about that. So, the idea of fasting, or willfully going without eating, can be uncharted territory for most. But if you’re following the keto diet, fasting can be a great way to either speed up your entry into ketosis or enter a deeper stage of it. More specifically, 16/8 intermittent fasting has been getting plenty of attention lately in the keto world. If you want to learn more about intermittent fasting for keto diet followers, keep reading. We’ll go over this unique type of fasting, explain why it works so well with the keto diet, and provide you with a few tips should you want to give it a try. So, put down your lunch. It’s time to fast. The term fasting alone can be scary. Fasting means not eating or drinking for prolonged periods of time. But intermittent fasting is a bit more forgiving. Think of it as a cycle of fasting and eating that’s healthier and more manageable . There are several different types of fasting you may come across when researching the ketogenic diet. This type of fasting isn’t for the weak. Should you choose to try alternate day fasting, you’ll choose five days out of the week to eat normally and two days where you’ll limit your calorie intake to about a quarter of its normal number. While this allows you to be flexible and choose days to fast that work best with your schedule, some find this type of fast more difficult than others. There’s also little promise it will put you into ketosis, depending on what you eat during your non-fasting days . If you want to just get a feel for how your body will react to fasting, try this method. You’ll just skip one meal out of each day. This doesn’t mean you can load up on snacks right before or after your skipped meal though. Give it a try for a few days to see if it helps you stay on track. At the least, you’ll save some money and calories. But if you don’t eat right the rest of the day, you might find yourself overeating at your other meals.
. To make the treatment more effective, doctors would have children fast for 24-48 hours before starting the diet. A full fast before starting the ketogenic diet can definitely help you get into ketosis more quickly but it takes discipline. This is a common fast with keto followers. It’s a great way to break through a weight loss plateau. You’ll still be able to eat but you’ll lower your daily calorie intake to around 1,000 and focus on getting 80-90% of those calories purely from fat. You should remain surprisingly full, thanks to a diet full of fat, but hitting such a high percentage can be difficult for some. Fat fasting isn’t ideal for long term but can help those already in ketosis reach a deeper state. Here’s the star of the show. 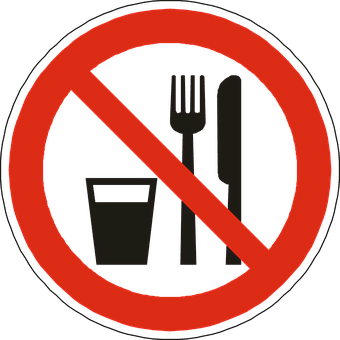 16/8 intermittent fasting can be described as a combination of several of the previously mentioned fasting types. With this type of fast, you’ll give yourself an eating window. You’ll fast for 16 hours a day but be able to eat as desired for 8. The way you time it is up to you. If you want to be able to eat as soon as you wake up, start your 8-hour window then. If you want to go to bed with a full stomach, start your eating window later. Or try pushing the window to the middle of the day, which is a common keto approach. Where Does Fasting Fit in With Ketosis? Fasting isn’t required on a ketogenic diet, so why is there so much talk of it? Plain and simple, fasting can help with getting into ketosis, the main goal of keto. Here’s why. If you’re already on a ketogenic diet, you’re already fasting in some sense. By cutting carbs from your diet, you’re fasting from this type of food (or at least severely limiting your intake) and experiencing change as a result. Adding a fast is simply doubling up on what you’re already doing. When you limit your carb intake, your body starts to go through glucose stores. But when you deny your body any sort of food, you can expect it to plow through any remaining glucose stores faster than before and make the transition to running on fat. Keep in mind that 16/8 intermittent fasting or any other type of fasting for that matter will not guarantee an entrance to ketosis. But if you’re struggling to get there, we recommend giving it a try to see if it’s the push your body needs to make the transition . Your body enters several different digestive stages throughout the day. One is the fed state. Your body is in the fed state immediately after eating as it digests. After you eat a meal or even just a snack, your body can remain in the fed state for several hours. The problem is that it’s very difficult for your body to burn fat when you’re in the fed state. Even if you’re on a ketogenic diet, insulin levels can be too high for fat burning. After your body is done digesting and absorbing, it enters the post-absorptive state. This state can last as long as 12 hours after your last meal. It isn’t until this state is over that you enter a fasted state. You want to be in the fasted state because it’s where your insulin levels are very low, and your body is able to burn fat that it wasn’t able to access during the fed state. But keep in mind that it can take 12 hours after eating your last meal to enter this state. Timing your entrance into the fasted state is important if you want to make the most out of it. Essentially, fasting gains us access to the fasted state, which is something our bodies are unable to enter by eating three regular meals a day. For impressive weight loss and a quick entrance to ketosis, fasting of some sort is often the key. 16/8 intermittent fasting is the safest and often most successful for keto followers. There are a few different ways you can go about choosing your eating time window when fasting. It could be about convenience or playing it smart. Here are a few tips. Keep in mind that there’s no right or wrong answer, though one may be more productive for you than other options. Focus on finding a window that will make you the most successful and able to stick with fasting the longest . If you look forward to breakfast more than anything, you may want to start your eating window as soon as you wake up. You’ll be able to fuel up for the day, get in your coffee, head to work, and still be able to catch lunch with a friend. But some find it difficult to skip dinner, the meal most known for socializing. If you’re not much of a morning person, scheduling your eating window for the evening could be best. Sleep in, take your time getting ready, sip on a glass of water, and stay busy until it’s time for an early dinner. You’ll be able to get a few snacks in as well before the night is over. You can also go with a window in the middle of your day that will allow you to eat lunch as your first meal and still have time to enjoy a hearty dinner. This is usually recommended, especially if you’re on keto, if you’re active in the morning. Just as you wake, you’ll be finishing up the post-stage. You’ll enter the fasted stage right as your day gets going, whether it’s your morning jog or commute to the subway station. As long as you’re most active in the morning, which offers plenty of benefits, this is the ideal window for keto. Can You Eat Anything During 16/8 Intermittent Fasting? We like to say only water is allowed during a 16/8 intermittent fast. Unlike full fasts, you are allowed to drink fluids. Now some will say that other beverages, like coffee or tea are permissible. If they’re under 50 calories, your body should remain in the fasted state. But the issue with this is that once you have that cup of coffee with a splash of cream, it becomes easier to have an herbal tea with a bit of honey later. Then, when you find yourself thirsty after a workout, you figure a few sips of juice can’t hurt. And you are a little hungry, so what’s a few peanuts off the counter? If you can stick with only having a small cup of black coffee or herbal tea during your fast, we won’t make a stink out of it. But we think allowing even the smallest number of calories while fasting can lead you down a slippery slope. This is the question we get the most. When you’re hungry but not in your eating time window yet, what can you do? Don’t move your window up! This will obviously throw off your fast. You always want to keep the same schedule. Starting your window early one day will cut into your fat burning and could throw the next several days off. The next thing we say is try not to think about being hungry. But we also know how silly this is because it’s all you’ll be thinking about, at least when first starting a fast. Just know that the longer you fast, the easier it will be to tackle those moments of weakness. Until then, here’s what to do. Drink some water – Sometimes, our bodies confuse hunger for dehydration. If you can’t eat yet, try drinking a glass of water. You might find your stomach stops growling until you’re able to have your first meal for the day . Work out – If you’re not up for working out, at least stay busy doing something physical. Don’t just zone out on the couch watching television. Take the dog for a walk, clean out those boxes in the attic, or vacuum the floors. Remember, you’re burning the most fat right before you enter your eating window, so staying active now is the best way to increase your fat burn. Don’t give up – If you do cave and have a small snack (or go on an eating binge), don’t despair. It happens, especially when first learning how to fast. The important thing is to remember is to not get discouraged and do your best to stay on track the next day. Like anything, with practice comes perfection. Ready to get serious about 16/8 intermittent fasting for keto diet success? Take a look at some of our favorite tips to help make your experience even more successful. The last thing you want to happen on a fast is to become dehydrated. Drinking plenty of water will also stave off hunger. If you’re looking to add a little flavor, sparkling water is another alternative. Just know that the carbonation can cause bloating, so you may want to switch back to plain water if it becomes an issue. Eating enough fat during your eating window can help keep you fuller for longer. But just as you can’t eat any fat you want while on a keto diet, you have to make sure you’re eating healthy fats while fasting. Avocados are a great option. Don’t forget about balancing out your diet as well. Eat eggs and Greek yogurt to keep hunger at bay once your eating window closes. Some people think they can or should stop working out once they start fasting, either because they have less calories they need to burn or because they should conserve their energy. Neither is true. Keep working out just as you were before the fast. But if you find that you feel weak during your workout, try and time it so that you can either eat right after it or work out between your two scheduled meals. Hopefully, you gave fasting quite a bit of thought before diving in. It’s not something you should just start without weighing the pros and cons. Fasting isn’t for everyone. But if you want to implement 16/8 intermittent fasting into your routine, make sure that you’re fully committed. Stay busy, keep your mind off of food, and don’t put yourself in situations where you’re more likely to break your fast. Make sure to give your body time to adjust. Fasting isn’t a quick fix, but when used appropriately it can absolutely provide you with the results you’re after. Just like anything that has to do with our health, there are a few concerns you should be aware of before committing to 16/8 intermittent fasting. If you’re not following a ketogenic diet during your eating window, you’ll never enter ketosis. Even with fasting and proper keto, entering ketosis can still take a couple of days. Fasting can speed up the process but only if you’re following the rules. In fact, fasting for 2/3 of the day and then pigging out during the remaining 1/3 could actually be damaging to your health. Overeating is another concern with intermittent fasting. Even if you’re eating food approved for the ketogenic diet, eating too much of it in such a short window can be counterproductive. If you find yourself daydreaming of what you can eat when it’s time to, you may need to come up with some distraction techniques. Depending on when your eating window is, intermittent fasting has been linked to poor sleep. It’s hard to go to sleep when you’re starving. If you’re struggling to fall asleep or stay asleep because you’re hungry, it could be time to switch your eating window or look into different options. One last concern regarding intermittent fasting revolves around the current health of the participant. Pregnant women and those with medical conditions that could be worsened by prolonged periods without food should not fast in any form, including 16/8 intermittent fasting. If you have any questions about your body’s ability to safely fast, speak with your doctor before starting. The ketogenic diet and 16/8 intermittent fasting can be used together for superior results. There are a few things you can do to make your fast more successful, should you decide it’s an option for you. If you struggle with the fast, patiently remaining on a ketogenic diet will put you into ketosis with time. But if you want to start experiencing keto-associated weight loss sooner than later and at record speeds, 16/8 intermittent fasting for keto success is the answer. CMAJ. 2013 Jun 11; 185(9): E363–E364. Adv Ther. 2018; 35(8): 1265–1283. Nutr Healthy Aging. 2018; 4(4): 345–353. J Clin Invest. 1967 Aug; 46(8): 1283–1296. Cureus. 2018 Jul; 10(7): e2947. Campbell NR1, Wickert W, Magner P, Shumak SL. Dehydration during fasting increases serum lipids and lipoproteins. Clin Invest Med. 1994 Dec;17(6):570-6.